Great Rail Journeys are on track to launch river cruises to their portfolio. The company has chartered three state-of-the-art vessels under the banner, The Great Rail Journeys River Cruise, and these will set sail in April 2019. The trio of river boats are modern luxury five-star state of the art vessels with, they say, some of the most generously sized cabins available on Europe’s waterways. Holiday makers can choose one-way itineraries so that they won’t have to see the same section of the river twice. There’s plenty of flexibility in catching the cruise either by flying in or by escorted rail service and the cruise can be added on to the end of an existing Great Rail Journeys tour. There’s a range of tours and cruise itineraries and holiday makers can pick up their boat by flight or escorted rail. ​They also allow you to select the exact cabin the time of booking via an agent – just like choosing an airline seat. 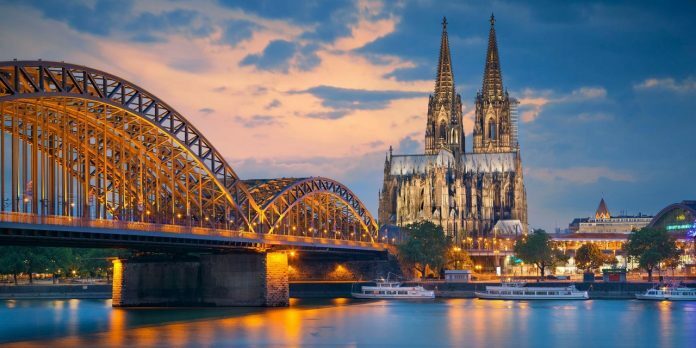 The charter itineraries include tours along The Rhine, The Danube and the Waterways of Belgium and Holland. All of us here at Great Rail Journeys are excited about the launch of our new cruise charter. It gives us the opportunity to offer the high level of customer service our rail holidays are known for on to these spectacular ships. We are particularly proud of our flexible approach, allowing customers to choose their own excursions and cabins at no extra cost, whether it’s an onboard concert with members of Vienna’s acclaimed Philharmonic orchestra, or exploring the Keukenhof Gardens with Charlie Dimmock. Our river cruises will help travellers make memories that will last a lifetime. All river cruises are now live on the Great Rail Journeys website and available to book.